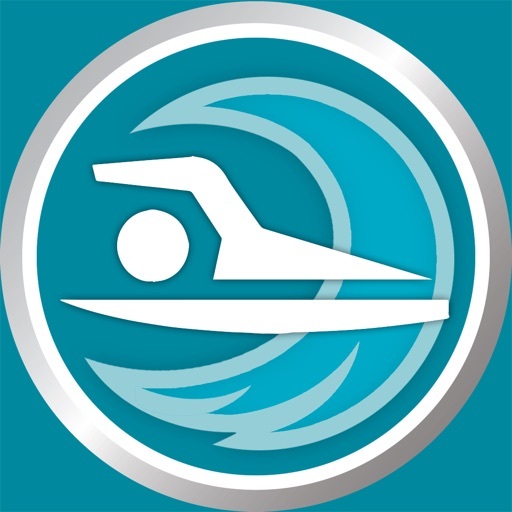 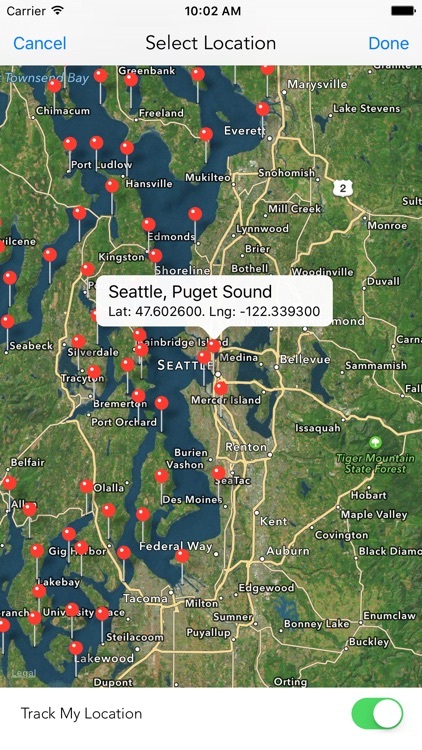 Track the tide times for the entire state of Washington, from Seattle, Olympia, Hoodsport, Port Angeles, Oak Harbor, Strait of Juan de Fuca, Sekiu, Haro Strait, Blaine, Armitage Island, Tacoma, La Push and Destruction Island. In total 166 locations throughout the state are covered. 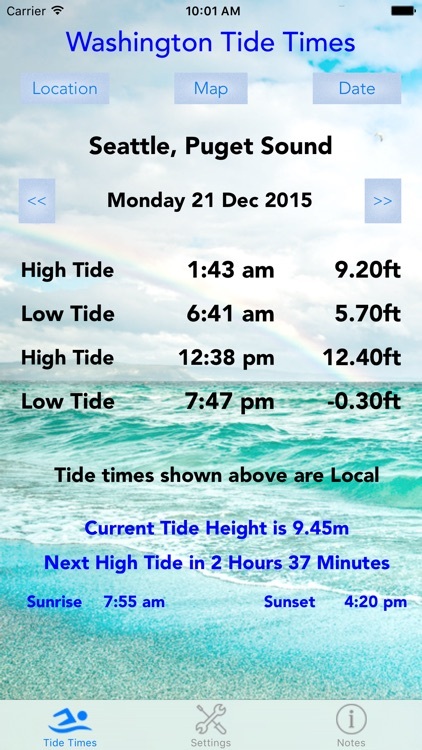 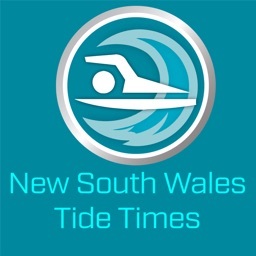 Displays the low and high tides for the day, allowing selection of any date through to Dec 2016. It also shows the current tide height and the time to the next tide. 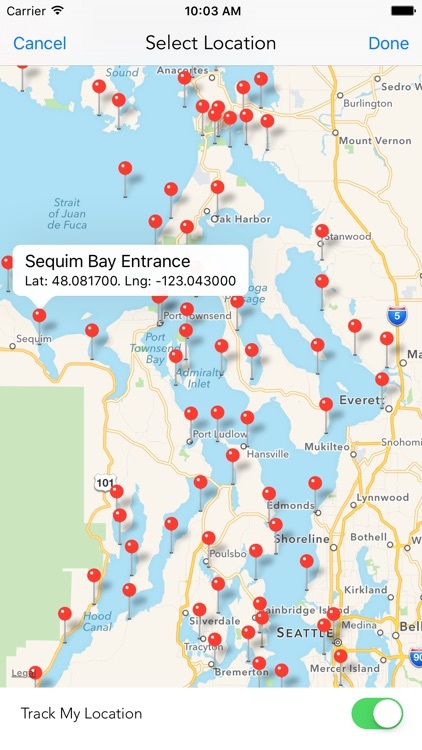 The map uses your GPS to make it easier to select the port to display. No internet connection is needed for the tide times although the maps do require data to display. 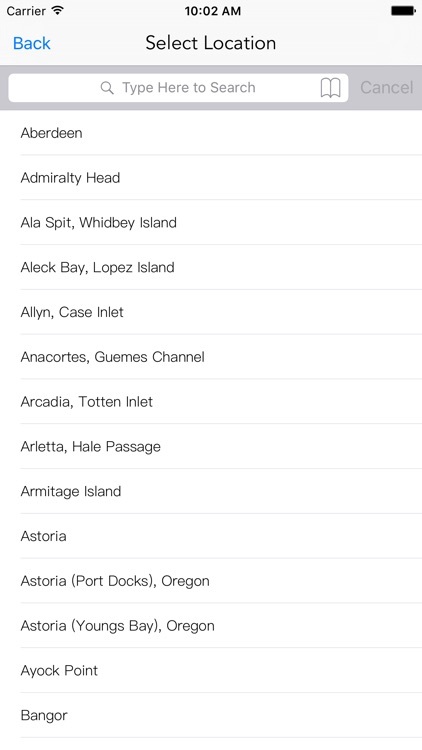 The sunrise and sunset times for the port selected are also shown.